In our latest competition, you could win a book signed by Cloughie himself. There are more details HERE. 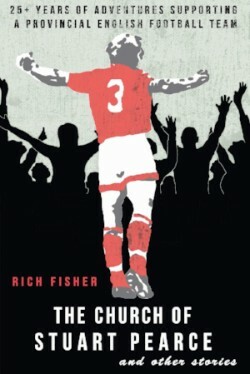 Our previous competition gave you the chance to win the brand new book by Cloughie statue fund-raiser and former Nottingham Forest fanzine editor Rich Fisher. His book 'The Church of Stuart Pearce and Other Stories' (published March 2018, retailing at £12.99) tells the story of Rich's exploits following the Reds for more than twenty-five years. Our competition copy is signed by Rich and former Forest star Brian Rice, who has written the book's foreword. To stand a chance of winning the signed paperback, entrants had to tell us what special birthday present Brian Clough sent Rich for his twelfth birthday (the answer can be found on this website). One correct entry was picked at random to win the book.